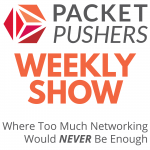 The Packet Pushers podcasts are nerdy, deep dives into what’s new and interesting in networking, the data center, cloud and more. If you want to learn, enhance your career, and occasionally get exasperated, we’ve got you covered. See below for full descriptions of the podcasts and then dive in and get listening! The Packet Pushers has multiple channels as we publish content multiple days a week. Priority Queue – Niche & nerdy with Ethan Banks + Greg Ferro. Briefings in Brief – Vendors brief us on their latest announcements and sometimes we podcast those. Fat Pipe – the top 5 channels by popularity are gathered into a single feed so you don’t get overloaded. News – Industry news & briefing summaries written and reported by the Packet Pushers team. Subscribe to Human Infrastructure Magazine – A newsletter on life in networking. The rich, personal experience of being a human in a world of IT infrastructure. Subscribe to The Hot Aisle – Ethan’s newsletter on networking. Unsponsored, completely original content about networking & the industry. Subscribe to Link Propagation – A free, weekly newsletter with curated links to the latest tech news, must-read blogs, and the latest industry announcements. Occasionally we may publish more personal posts on our older blogs or when thinking on new ideas. This is the main podcast feed. The Weekly Show features industry experts, real-life network engineers, and our cast of regulars. Co-hosted by Greg Ferro and Ethan Banks. A podcast on news of the business in networking. We discuss vendors moves and news, product and ploys, analysis on product and positioning, and look at the business of networking. In the time it takes to have coffee break. This is the Priority Queue feed only. Having a separate feed to listen to occasional content makes sense. Not everyone wants to hear all the shows. This feed may get large amounts of content in a short time, or contain very niche, specialized content. This is the Datanauts feed only. This is a technical show about data center design, engineering, and operations with virtualization and storage pro Chris Wahl and networking expert Ethan Banks. Chris & Ethan break down silos while interviewing expert industry guests and sharing their own hands-on knowledge in this show about enterprise IT. This is a Full Stack Journey feed only. Hosted by Scott Lowe, The Full Stack Journey podcast is about the ongoing journey to becoming a full stack engineer: an IT pro who can move among multiple silos and work across multiple layers of the modern data center stack. 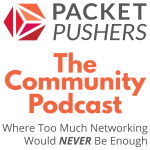 Packet Pushers Community Channel is a place for anyone to publish a podcast and for incubating new podcasts. 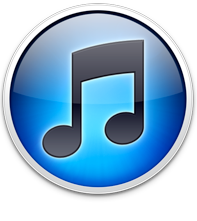 We provide the hosting, iTunes and a place for people to find your content. Who knows ? Maybe one day you can have your own channel. This feed combines all of our podcasts (except for Citizens of Tech, which moved to its own infrastructure). The feed is podcast-only, so it’s best for your favorite podcast client. If we add new shows in the future, they will be included in this feed as well as getting their own feed. The “Fire Hose”. Anything that gets posted to PacketPushers.net will appear in this RSS feed including blogs, podcasts, and updates from any category, anywhere. Some people listen to the show from their RSS reader plus you can read all the blogs and news articles. This is the community blog feed. If you are only interested in reading the articles from the Packet Pushers community, then this is the best feed for your RSS reader. This is the news feed. If you are only interested in reading the industry news articles and briefing summaries reported by the Packet Pushers team, then this is the best feed for your RSS reader. We have a number of newsletters. Some are regular, some are occasional. An email-based newsletter about being a human in IT Infrastructure. Thought provoking, personal, useful information and lots of links to research, videos, and other interesting tidbits. Written by the Packet Pushers team along with community contributors. An email-based newsletter featuring technical analysis of trends in networking and IT. Focuses on how these trends affect network operators as they navigate the seas of IT change. Written by Ethan Banks. A weekly dose of the latest headlines, blogs, and announcements. The Packet Pushers choose the news and stories to make sure they’re relevant and worth your time.